@Languinis: Word Puzzle Challenge & iTunes Giveaway! I was recently introduced to the game Languinis: Word Puzzle Challenge. If you're a dedicated follower, you'll remember how much I absolutely love video games. This includes games I can play on my iPhone and iPad too. I don't keep many games on my iPhone because I take a lot of pictures, so my games are mostly on my iPad and this is one game I've been playing non-stop for about a week now and absolutely love it. I even have the hubby playing it too. 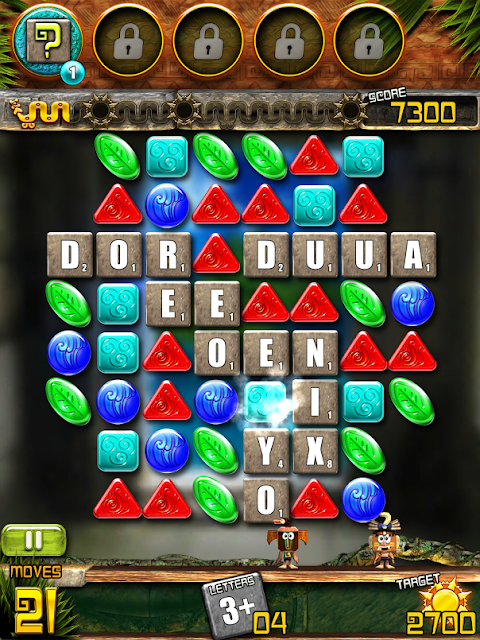 Languinis is a mix of both matching and spelling game. 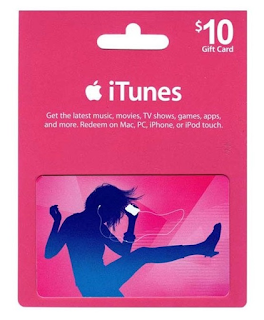 This gives you the best of both worlds if you love word puzzles and matching games. Languini tribe has been forced into servitude under the not-so nice Phoenix god. To help free our new friends, you match items to uncover letters, than spell words. Do that enough and the Languinis get their freedom back! There’s more to this than your average causal game. The object of the game is to get three matching shapes in a row, once you do they'll flip over and become letters. You then need to spell a word with three letters or more in order to clear the tiles and eventually complete your goal and move on to the next level. 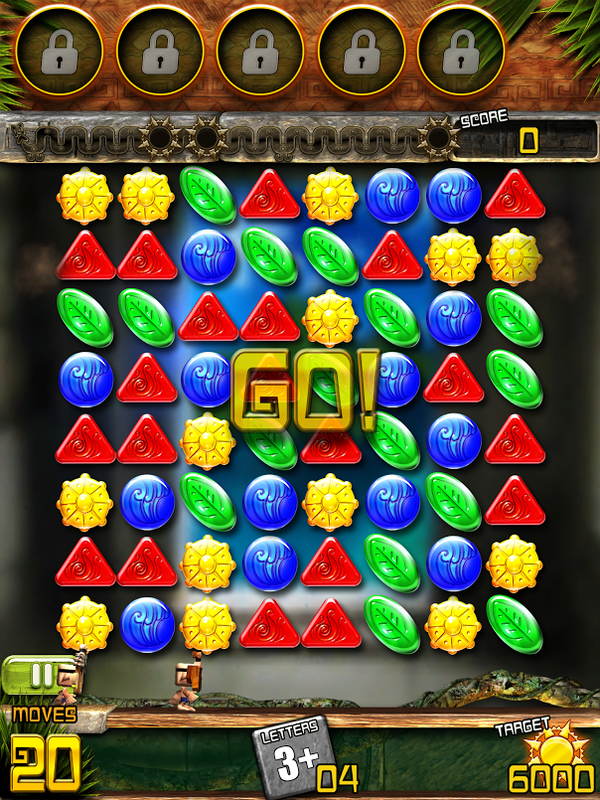 This fun and challenging game will have you playing for hours! More than 50 levels split across 12 lavishly hand-drawn islands and more to come with content updates. 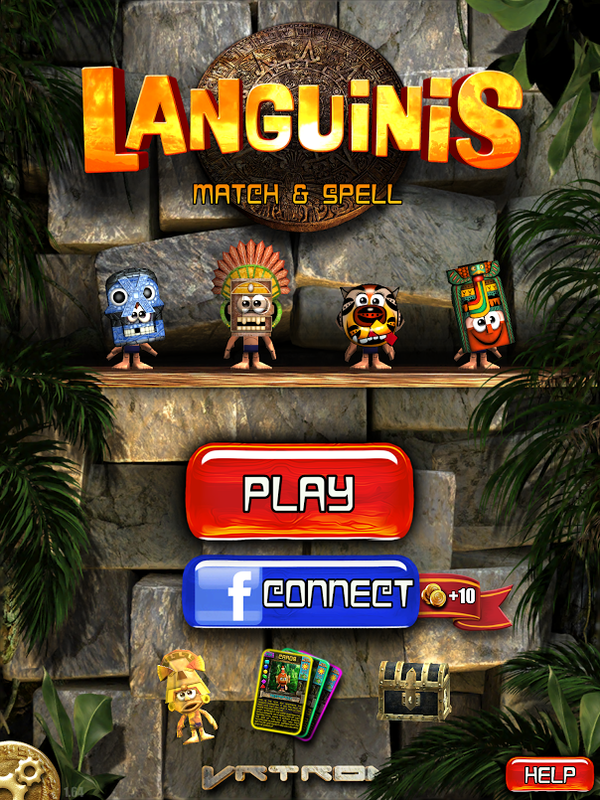 Languinis is now available free on both the App Store and Google Play. For more information on Languinis and their peaceful ways, please visit: www.languinisgame.com and follow the game on Facebook and Twitter.